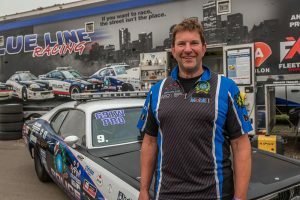 Blue Line Racing Association is a nonprofit organization run by a volunteer group of police officers who are all members of the Edmonton Police Service. Blue Line Racing Association operates the Edmonton Police Service’s Street Legal Program. As members of the Edmonton Police Service, we are concerned about racing in the streets. The Street Legal Program evolved as a result of that concern. 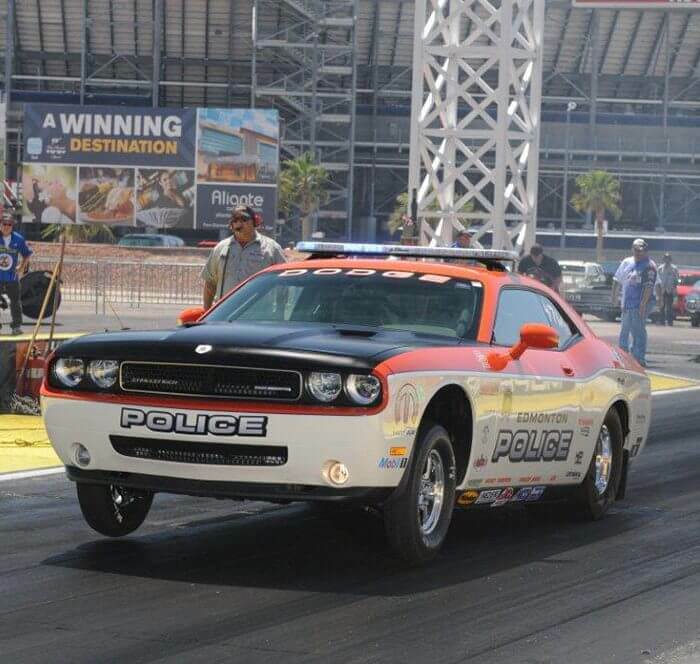 This program allows our members to get into the community and talk to the racing community using police race‐cars. Our program specifically targets young person’s ages 14‐25. We talk about traffic safety and our theme is anti‐street racing. We discuss their abilities to operate a vehicle in a safe and responsible manner. Mission: The mission of Blue Line Racing Promote traffic safety and responsible driving -Strive to reduce street racing by providing heightened awareness and safe racing alternatives – Cultivate a positive relationship between young drivers and police. Team Promise: We also want to acknowledge the Edmonton Police Association for their endorsement of the program. BLRA also wishes to thank all their many sponsors who support the program and keep it going year after year and without them we would not be able to reach out to the community. All members volunteer their time, cars donated, and all funds come from the corporate sector with no tax dollars used. Mike retired after 27 years as a police officer at the end of 2017 but is still involved as the president of Blue Line Racing Association. 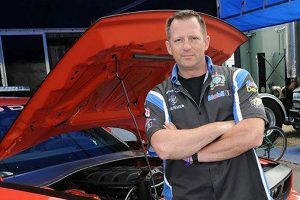 Mike is also a licensed mechanic who has had a passion for drag racing since his early teens and by age 17, had built his own car. Mike’s early experiences with drag racing began like many kids – on the streets. But a collision caused by racing was the turning point in his life. He took his race car to the track and now wants to use the sport to help prevent other kids from making a serious or fatal mistake. 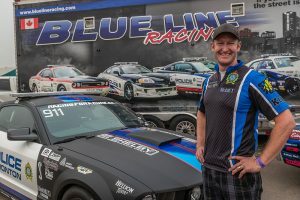 Blair has been a member of EPS since 1999, and a member of Blue Line Racing team since 2004. Blair has a passion for cars, racing, repairing, and pushing them to their full potential. 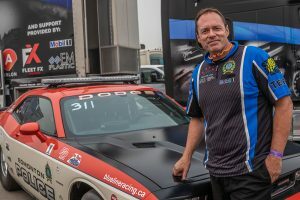 Blair has also witnessed the devastation and loss of life that street racing has caused and is a strong advocate of education and racing in a controlled safe environment. Keane has been a police officer since 2002, and is currently a Patrol Sergeant. Keane’s passion for cars not only includes racing, he also loves the challenge of building cars and motorcycles that are truly unique. Keane views the Street Legal program as a great opportunity for the public to have a positive interaction with police.